Teach can and can't. 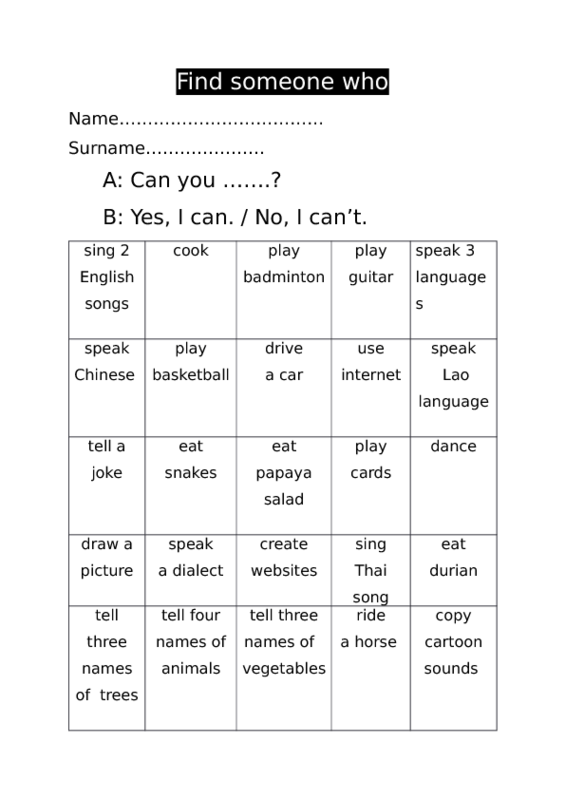 You can use this worksheet for as an ice-breaking activity. First, teach vocabulary. Second, ask students to walk around and ask their friends. 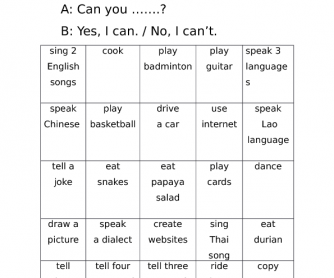 Finally, ask students to check if people can really do it. Example, If his/her friend can sing English songs. Let he/she sings.